MARK AARONS is Head of Investment Risk at a leading Australian funds manager and an Adjunct Associate Professor in the Centre for Quantitative Finance and Investment Strategies at Monash University. Previously he was Head of FICC Structuring at the National Australia Bank, where he built a leading securitisation swap business in both Australia and the UK. VLAD ENDER is a director at Kauri Solutions, a financial markets consulting practice. Prior to founding Kauri Solutions, he spent eight years at National Australia Bank's London office. He also served as an Executive Director in the FICC Structuring team. 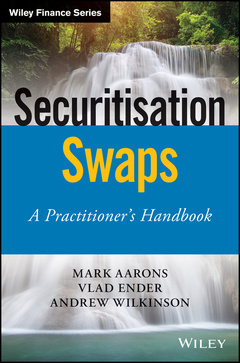 ANDREW WILKINSON is a senior legal counsel in Australia who specialises in bespoke derivatives and securitisation. Previously, Andrew spent a decade in London working through the financial crisis and beyond for leading law firms Linklaters LLP and Weil, Gotshal & Manges.